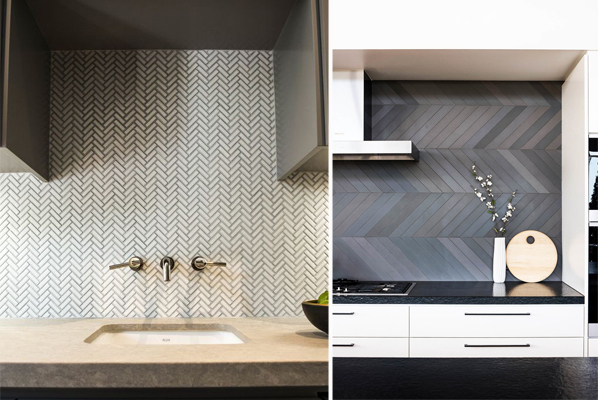 So Herringbone is a pattern that is becoming more and more popular and while it has been gracing us with its presence for a few years now, it has officially gone mainstream. 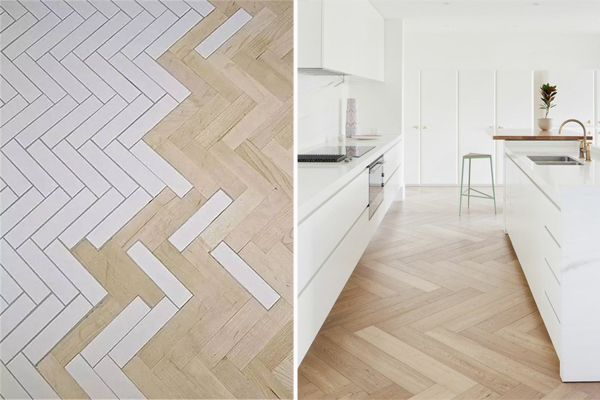 The floor is probably the most impactful place that you can using herringbone in your home. 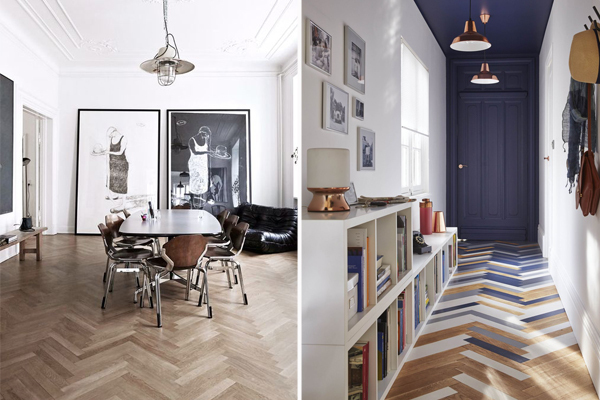 The timber herringbone pattern has been used for decades in period homes, but I think that we forgot just how beautiful it is until recently. 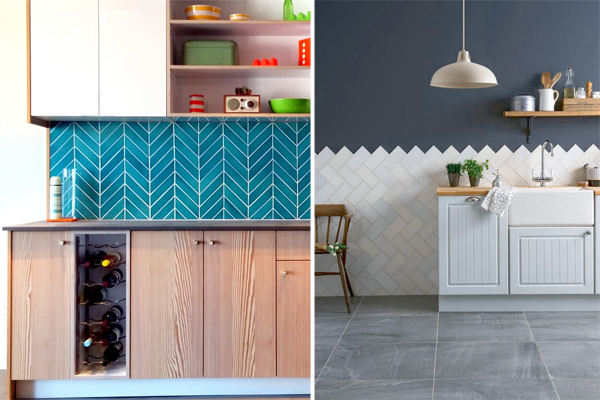 Herringbone will work in either a traditional or contemporary setting, however if you are looking for something a little bit different then why not add a pop of colour. 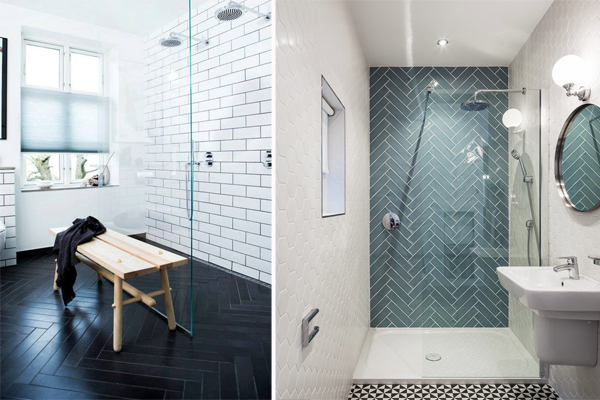 Tiles are also a great way to incorporate this versatile pattern. It can be easily be achieved using a standard or elongated subway tile and its a great way of getting away from the standard brick effect that it so widely used now. 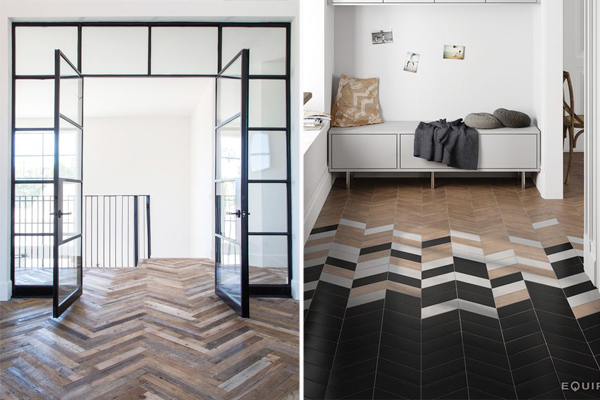 There are also tiles on the market that will give you a fabulous chevron effect (see below). Tilestyle have some beautiful options in their showroom in Ballymount. 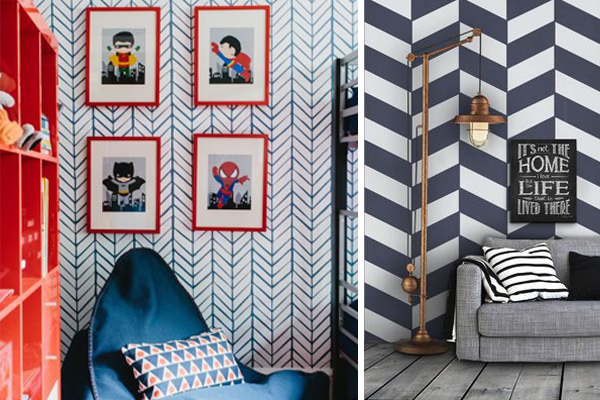 If you are looking for something a little less permanent but still want to create impact, then wallpaper could be a good option for you. They can be hard to come by but Etsy have a great range, in particular Livettes. 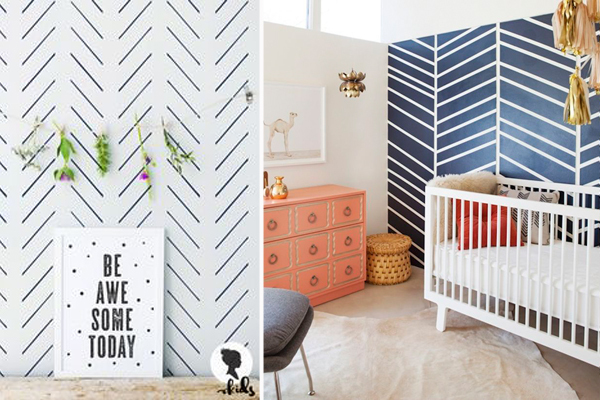 Introducing colour and pattern into your home makes for a more fun and interesting place to live, so why not embrace it.